Saudi Arabia has opened a consulate in Baghdad for the first time in nearly 30 years in a sign of improving ties, Iraq said. 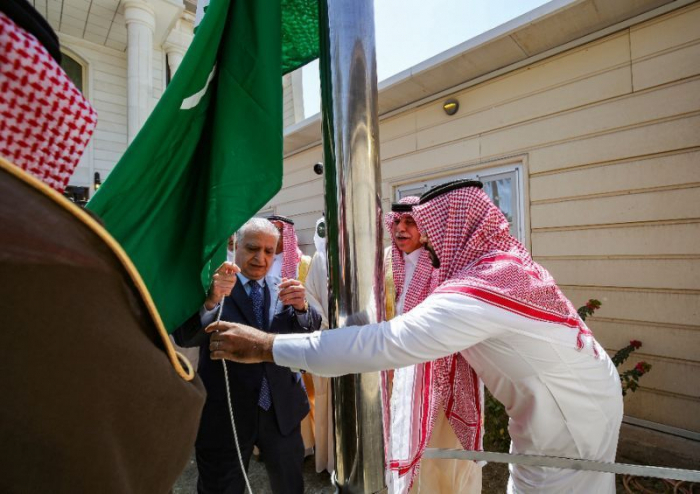 The new consulate, which will issue visas to Iraqis, was opened during a two-day visit by a delegation headed by the Saudi minister of commerce and investment, AP reported. Riyadh seeks closer ties to Baghdad in an effort to counter Iran’s growing regional influence. Iraq's Foreign Ministry spokesman Ahmad Sahhaf said the consulate was opened on Thursday inside the city's heavily fortified Green Zone. Iraqi Prime Minister Adel Abdul-Mahdi is visiting Iran on Saturday, and plans to visit Saudi Arabia later this month. Saudi Arabia cut ties with Iraq when it invaded Kuwait in 1990.